I was super blessed to receive this pattern (the Undercover Hood) from the lovely & talented Kat and this being my first experience with Papercut patterns I can say I’m very pleased & will definitely be trying more! I had been particularly interested in this pattern for some time, because West Coast weather demands the need for layers, year round, as it can change and fluctuate on a dime, and hoodies are among my favourite clothing items – usually zipped, but I have no pullover ones so I thought this would be a nice change. 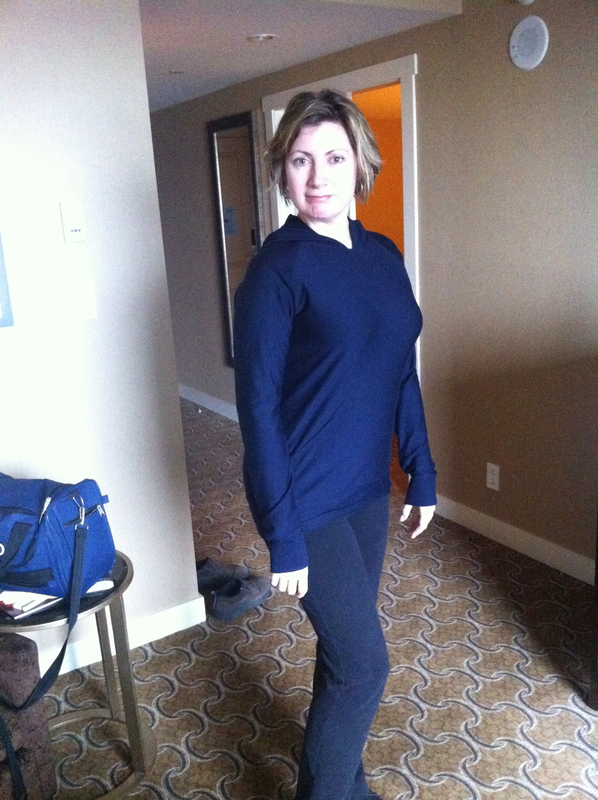 I knew I wanted a fabric that was warm but thin, to make it versatile, so I sought out a fine merino jersey. (Someone needs to start stocking this in Canada, for reals – it’s amazing stuff and NO ONE has it here!!!) 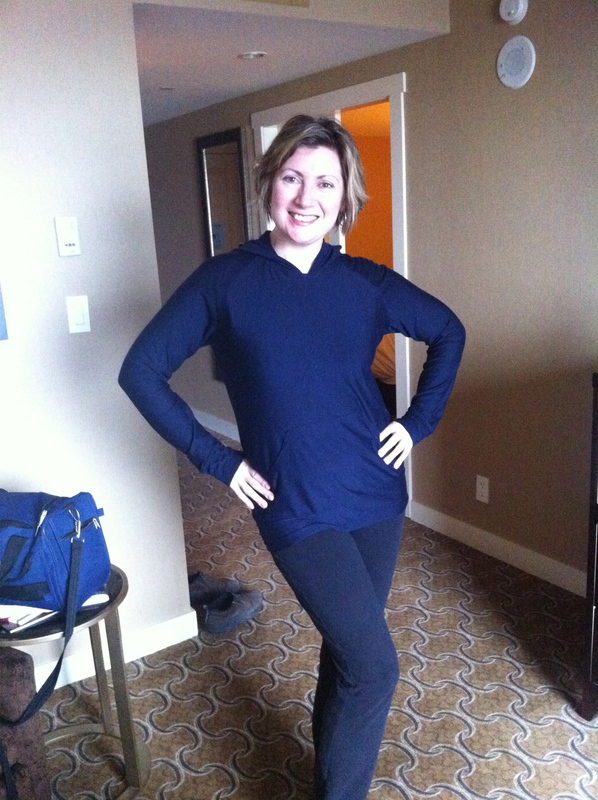 it’s costly to have shipped here but 100% worth it – you can’t buy RTW merino clothing here, either, so I view it as a luxury item. I just used my serger for all seams and my regular machine for top stitching only. After attaching the pocket, I decided to run an additional line of edgestitching along the attached seams because even after pressing, the turned under seam didn’t want to lie flat, and I knew it would bug me. I’m MUCH happier having taken that extra step. I liked it so much I did the same on the hood. Of course, true to form, I couldn’t get through the whole project without a hitch – the last thing to go on was the hood, and it was perfect up til that point. So i sewed that sucker on, then right when I thought I was done, tried it on & realized my hood was not a hood; it kind of resembled a floppy clamshell lol – I had sewn the two halves together backwards!! *facepalm* Well I’m sorry but two rows of top stitching & a serged seam were not coming apart easily so I just cut that baby apart & made a slightly smaller (CORRECT!) hood – no problem for my pea head lol. Could it be?? 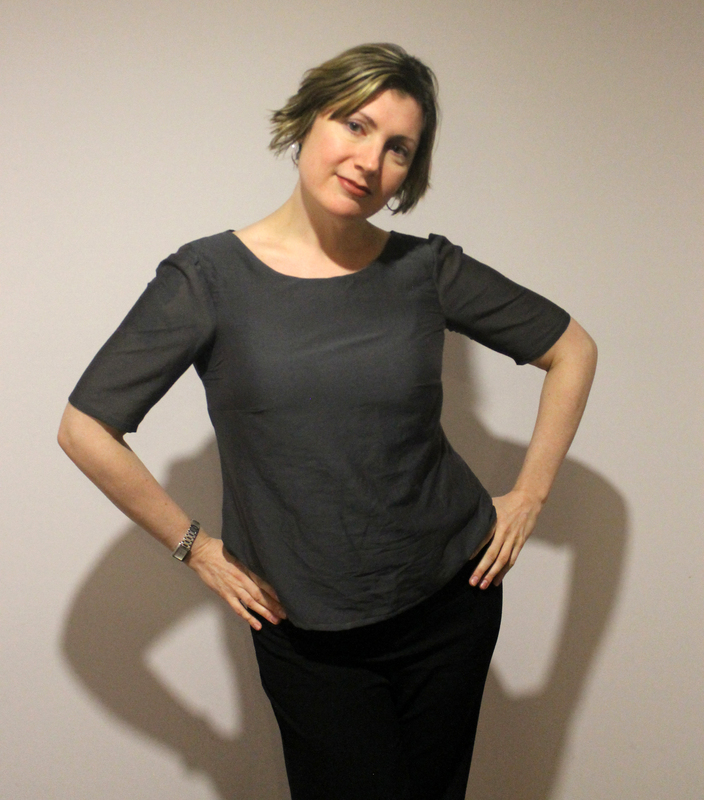 My first TNT pattern – Colette Laurel! A few of you may recall I was the lucky recipient of a Hart’s fabric voucher some time ago. I blogged my careful selections but up until now my beautiful fabrics have lain in wait for the perfect projects to give them life. As both fabrics were quite sheer I knew they needed underlining but wanted the silk next to my skin. I thought I’d see if I could maybe squeeze the underlining out of self fabric so I went for it and YES! Just barely had enough but I managed to squeak it out! 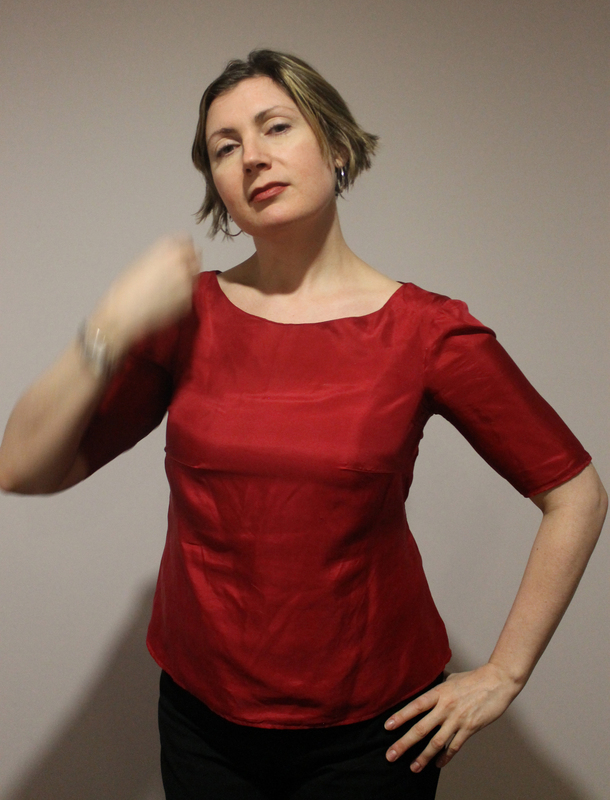 I cut out both tops at the same time & sewed the red one first. I used the adjusted pattern from my Laurel dress so of course no major fitting adjustments needed this time, but I did widen the arms slightly for comfort. I should mention that this turned out a tighter fit in the chest than my dress; apparently an extra layer of even the delicate weight of habutai is enough to affect fit, particularly if there’s bust darts involved! 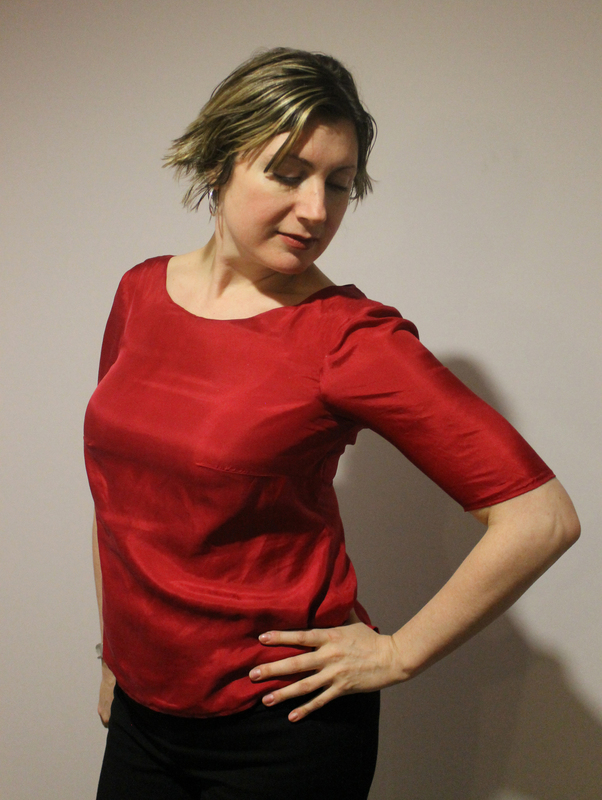 The red top is a lovely and versatile piece; the style is flattering and works in the office, but also pairs well with jeans, or could easily be dressed up. The silk is amazing – beautiful quality habutai with a rich, vibrant colour and a soft hand. I hand washed my top twice after the first wear (because I’m accident prone & ended up wearing some salad dressing lol) using a little shampoo and vinegar. The colour bled a little but only in the first wash, and still looks vibrant and fresh. 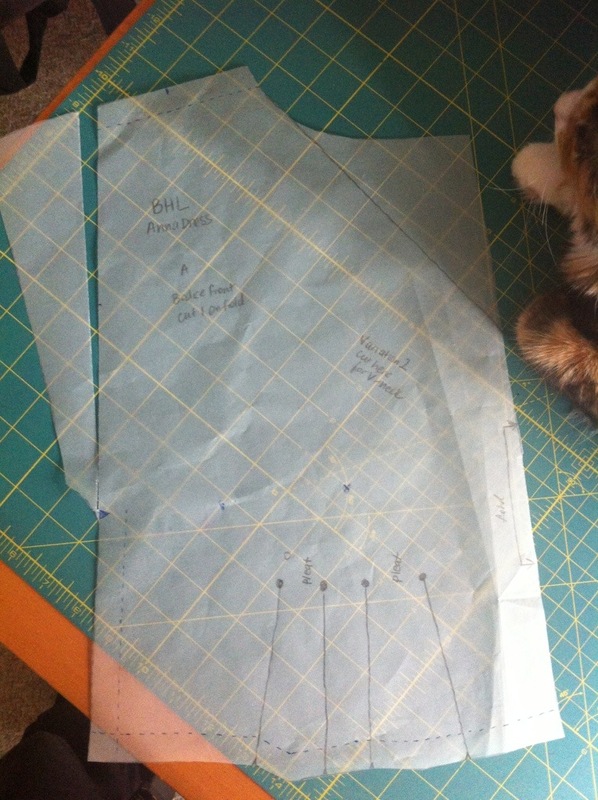 I also made sure to reduce my seam allowances by 1/8″ or so on this one, to make up for the extra layer of fabric. For whatever reason, though, it made this particular top a little too big, so it’s a bit poofy on my upper back and hips but whatever, I still love it LOL. “Yes, that’s it! Make duck faces while pulling down your top… that’s a great look! !” said no photographer… EVER LOL. deer in headlights? or something smells? not sure what this face is LOL. 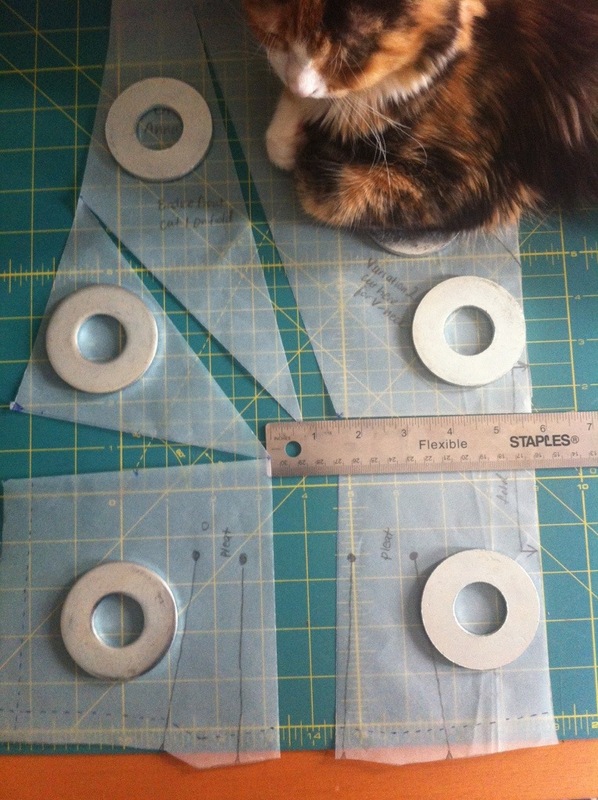 As per a regular FBA, use your HIGH BUST measurement to choose your size & trace. 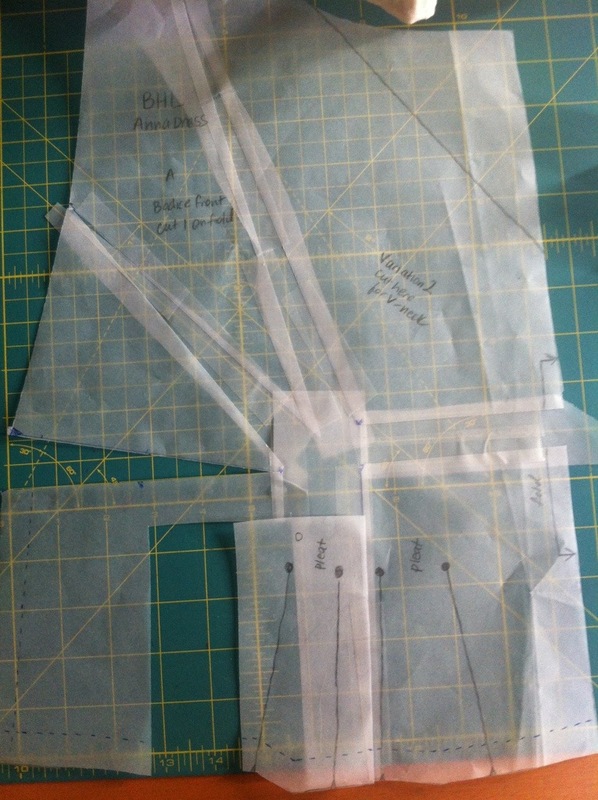 My personal method to determine how much of an adjustment I need is to hold the bodice tissue up to my body, aligning the side seam, and determine approximately how far away from my centre the centre fold is, at my bust point. 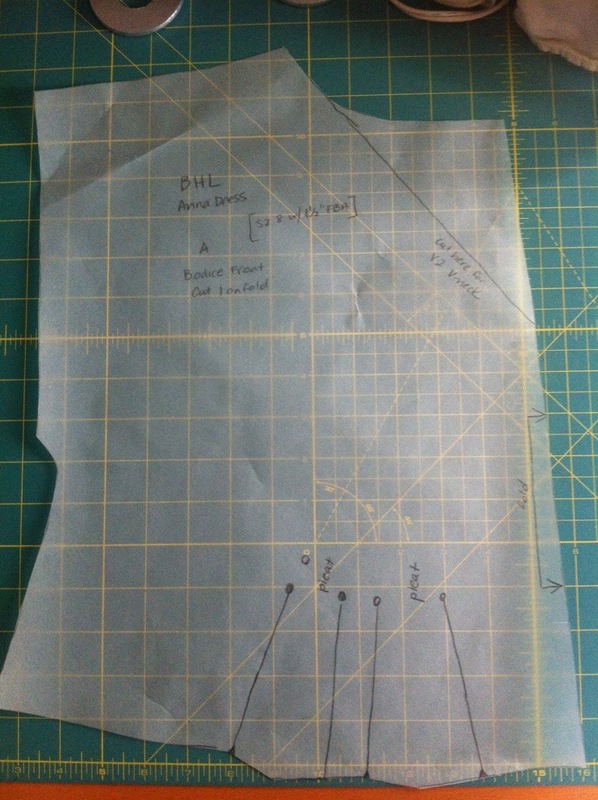 Make sure to mark your bust apex on the tissue & draw in seam allowances. So first, as you can see, our Anna bodice doesn’t have a side bust dart but waist tucks instead. First we cut off the raglan sleeve; we’ll add it back on later so keep that piece! 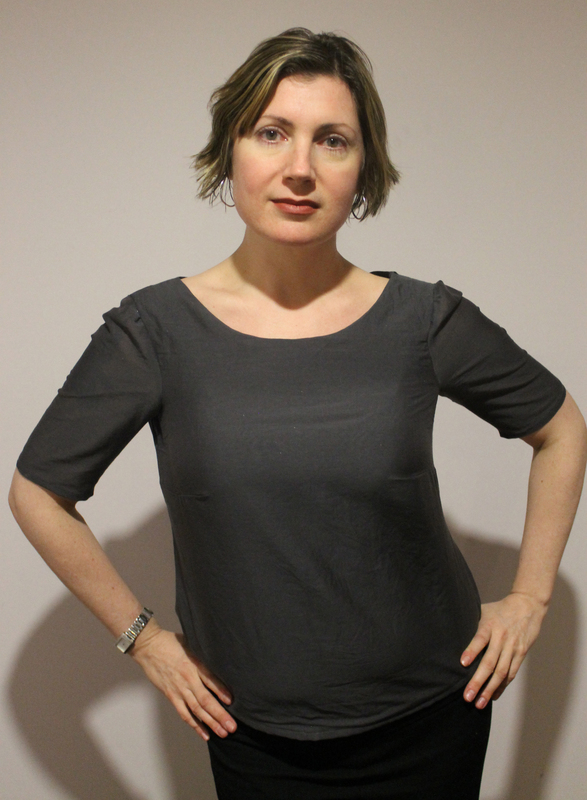 What we want to do is add room at the bust without changing the style of the bodice. To do that we have to add the side dart and then rotate it into the existing tucks. Let me show you. Now take the bottom left corner & rotate it up to close the gap created by the bust dart. 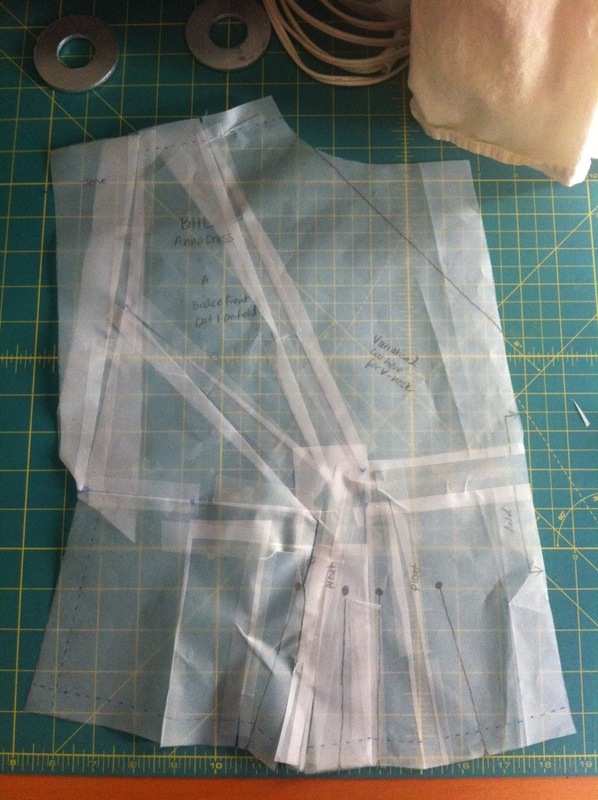 Fill in the gap at the waist with scrap tissue. 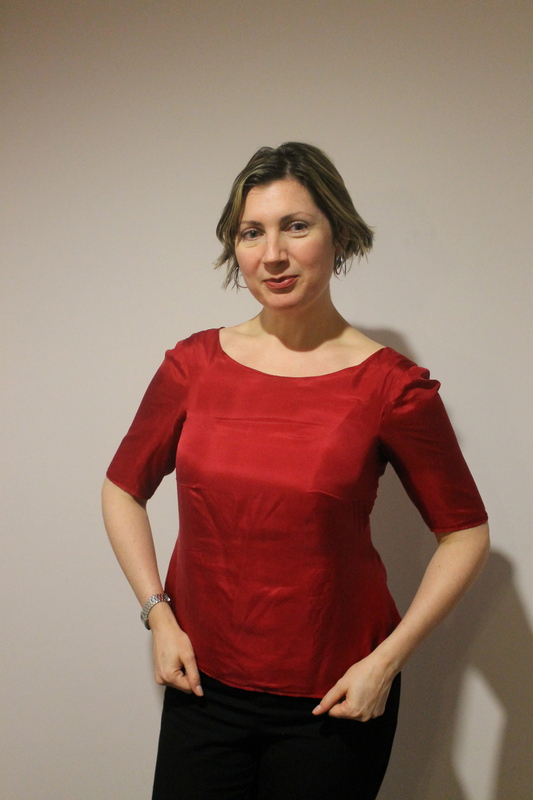 Now here, if your waist measurement matches the pattern, you could maybe add another tuck to remove the extra width you added, or if it’s a small amount, just add a little to each of the existing tucks. I have a big ol’ waist so I can just leave mine as is & adjust my skirt pieces to match instead. Now just tape the sleeve back on & you’re done! As you can see, mine worked out great!